This time, though, I decided to crank it up a notch and try a gradient-esque design with some bright pastels (as I'm being dragged against my will into the fall, haha). 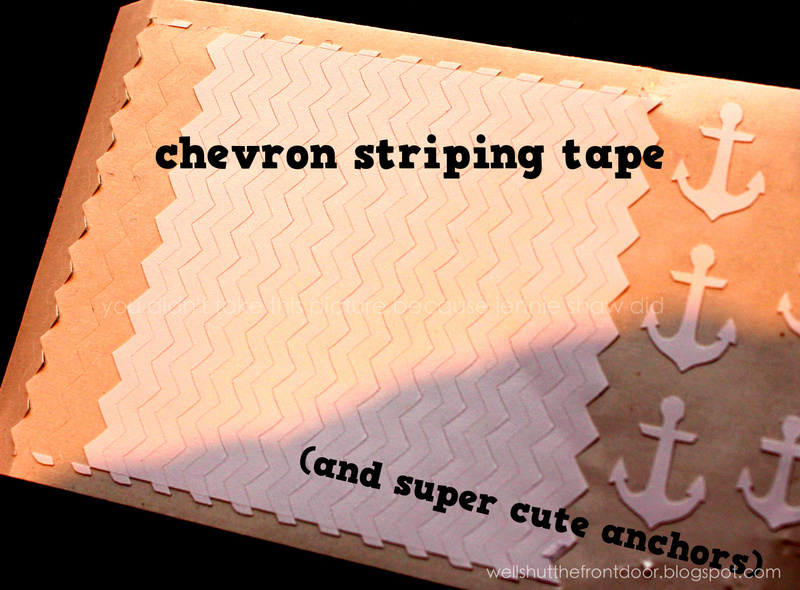 The all-important chevron striping tape from Inspired Nails. As usual, I started with two coats of paper mache. Then, I applied the chevron stickers (4 per nail). With a narrow, flat blush, I did two quick coats of each of the colours (starting with the lightest at the bottom, and finishing with the darkest, at the top). By the time I had finished applying the last colour on my thumb, the strips on my ring finger were ready to remove, quickly followed by the ones on my thumb. Two coats of Seche Vite (one going across my nail and then, when dry, another from top to bottom) and voila! An almost-gradient-chevron mani! I'd like to say that I'll have something different for you next week but I make no promises. Haha! Well the first step to getting help is admitting you have a problem! Hah! Love the gradient you did with the colors. Very pretty! This is such an awesome idea!!! 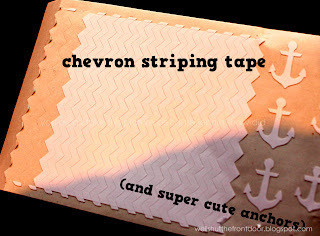 AND amazing execution, as always :) I ordered these chevron strips the other day and can't waaaaait to receive them!!! I need to work on my Chevron skills because they look great! 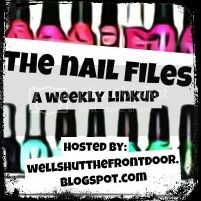 Hi I'm a new reader, coming over to join in with The Nail Files! LOVE this look, I'm obsessed with chevron, too! Cute! I love chevrons too! O.M.G. I want all those polishes. Can you do my nails? I really really need to invest in some of those chevron strips. Those colors are so pretty. I want that collection too. Love it, and there's nothing wrong with sticking with colors or a design that make you happy! Um I LOVE chevrons and yours turned out so cute!! I wish they had chevron stickers here. That CG collection is gorgeous btw. I absolutely love your nails!! Cute designs too! Thanks Jennie! I love it, and it still looks nice! This is SO CUTE! The lines look so neat. Awesome job! I am so scared to do nail art. Lol. I have tried and failed miserably. I think I'm too impatient to wait in between steps. But, this looks so cute...and you're making me want to buy those stickers and give it a try. Pray for me. Lol! There are NO WORDS to describe how much I love this. 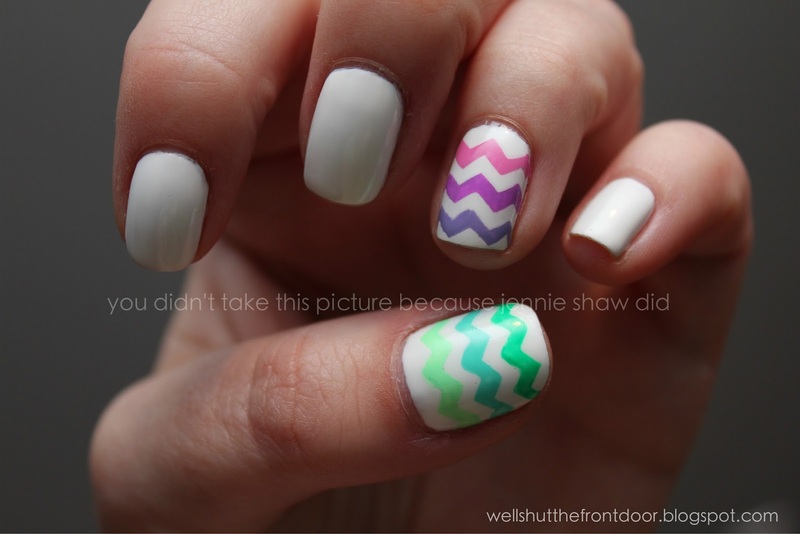 I need to find those chevron strips near me... I cannot even comprehend how great this mani looks!